Stories of Land and Liberty! London food-growers share their stories of working with communities in Ljubljana-Slovenia, Jaos-Palestine, Chiapas- Mexico, and Havana-Cuba. What can we learn? 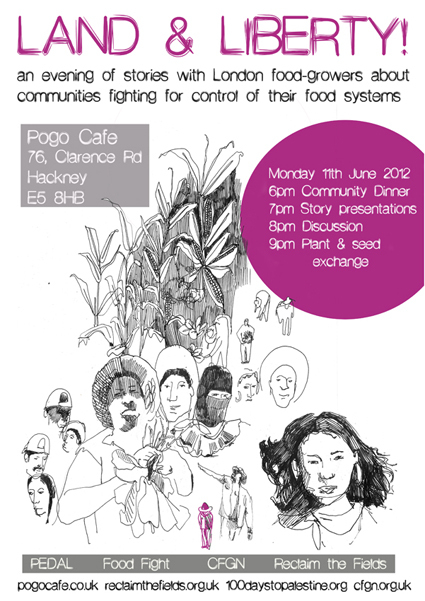 How are these methods relevant to our own organising and food growing? What do these stories inspire us to do?